However, this morning I got right up. 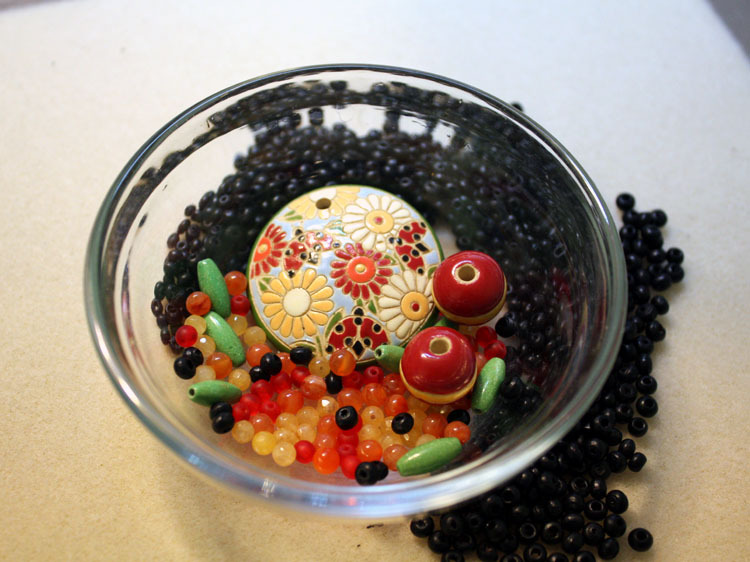 Perhaps I'm excited about Bead Table Wednesday or (more accurately) the bead soup that's sitting on my bead table. MAYBE I'm actually starting to behave like a grown-up. Nah, it must be the bead soup. After starting breakfast and pouring a cuppa coffee, I headed into the craft room and allowed myself to cut the strings on the strung beads (as Kate suggested.) Of course, I'm still a bit neurotic. So, I only slid a few beads off each of the strings. Let me admit that I HAVE already separated my beads into piles. One pile is with the focal and the other is with the clasp. Of course, I've still not quite figured out what I'm going to DO with either pile AND I still haven't pulled out any of my own beads. It'll come in time, I'm sure of it. Be sure to visit the Bead Table Wednesday Flickr Group for more BTW fabulousness. While I'm on the topic of bead soup. . .Andrea revealed some shots of what I sent to her. I'm so happy she likes the lot! 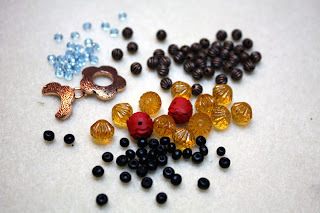 - Gardanne is having a pretty great bead giveaway on her blog. 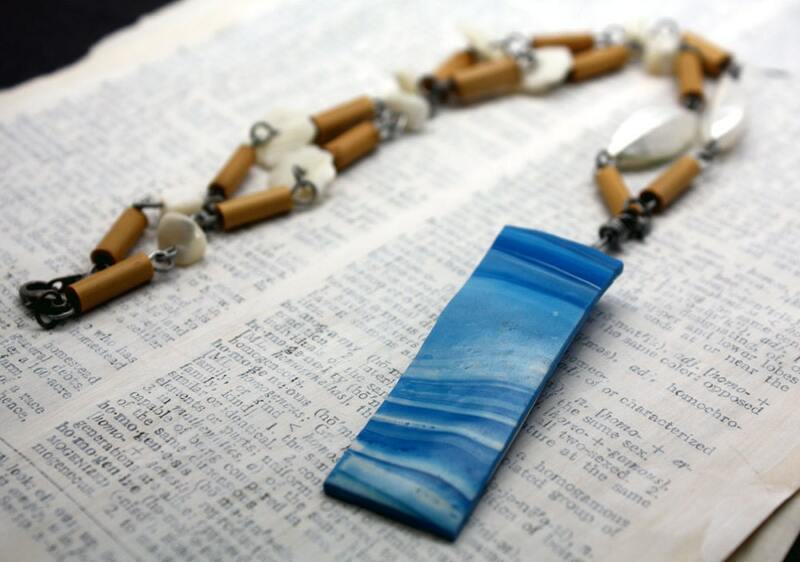 As well, you should check out the sale she is having in prep for BeadFest - 15% off everything in both of her shops. There are also links on her sales page to a several other beaders who are having sales for the same purpose. AWESOME!! Now, let me go see what this soup can become! The quote is from your favorite movie, Empire Records. HA! I might. . .but I'll still keep them somewhat separated. There's just SO MANY of them that the thought of having to pick them out to store them later sends chills down my spine. OCD much? Oh, yes. . me too!! Ooooohhhhhh! what a marvellous soup. YUM! I like the caviar association someone did on flickr. Looking forward to see what you will create. Yummmm. That's a tasty bead soup mix. Here I thought I was the only one who has so much trouble getting out of bed in the morning. And if you're making coffee you're more organized than I am. So very true. Empire Records is still on my 'short list' of movie favorites. I need to get a copy on DVD or Blue-Ray since my only copy is on VHS. . . one day! YAY! Those beads are FREE! Loved your bead soup mix. The Bead Soup is really cool and ahem, you'll see why in about a year! (Hint Hint). Have fun with it!